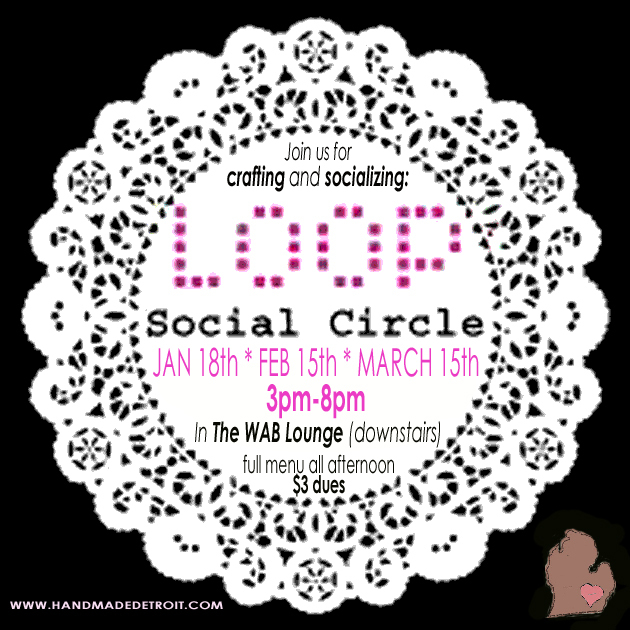 Join us for an afternoon of craft making and friendly chatter from 3 p.m. to 8 p.m. on Sunday, Feb. 15th at the Woodward Ave Brewers Lounge (that’s downstairs). The WAB is located at 22646 Woodward Ave in Ferndale. Cover is $3 and there is a full menu all afternoon. All ages welcome.